Brexit can't stop Aston Martin. Brexit is giving UK automakers a real headache, with many expecting to suffer once the UK leaves the European Union. Brexit has large-scale implications for the UK economy but it seems like ultra-luxury automakers have remained relatively immune. McLaren posted its best sales year ever in 2018 and now Autocar reports that Aston Martin also had a phenomenal sales year. Aston Martin sold 6,441 cars in 2018, which is an increase of over 26% from the 5,098 cars sold in 2017. Thanks to an influx of new models, it doesn't look like this growth will slow down in 2019. 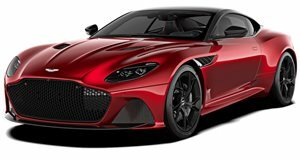 In 2018, Aston Martin released the new Vantage, DBS Superleggera and special edition models like the Vanquish Zagato Shooting Brake, Vanquish Zagato Speedster, and DB4 GT Continuation. These new models helped spur 31% growth in China, 38% growth in North and South America, and 17% growth in the company's home market in the UK. Not only did sales numbers grow, but revenue also rose by £1.096 billion (around $1.24 billion), which is around a 25% increase. Even with the massive sales success, Aston Martin still had pre-tax losses due to investments in its production facility in St Athan, Wales. 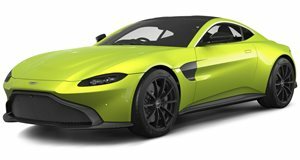 Once new models like the DBX SUV and the all-electric Rapide replacement arrive on the market, we have no doubt Aston Martin will be rolling in cash. "2018 was an outstanding year for Aston Martin Lagonda, delivering strong growth, with improving revenues, unit sales, and adjusted profits. As the UK’s only listed luxury automotive group, we have demonstrated our legitimacy in the global luxury market," said Aston CEO Andy Palmer. "Our well-defined expansion plans, that combine outstanding high-performance cars with iconic brand status, are on track as we manage through the uncertainties and disruption impacting the wider auto industry.” The CEO also said he was confident 2019 will be "another year of growth”. Combining brute force with Aston looks is a recipe for success.